The high ranked social media site in terms of marketing, Instagram, is overtaking the rest of the social media sites. It has over more than 700 million active users, who not only scrolls down but also likes, comment, share and respond to the relative posts available. That’s why it is used by the marketers and business companies to establish and grow their businesses. It offers a huge number of followers to any kind of business, either large or small. By the attraction of a lot of people, instagram is now an excellent platform for social media marketing. Instagram provides you the healthy number of followers. More followers, more likes and comments on your posts and more chances to grow your business. But now the struggle of getting more likes is solved. You can buy the instagram likes at different sites available. Social shop is one of the best instagram selling and buying likes available. They help you in promoting your company and services. This approach of buying the instagram likes made marketing easy and it takes less effort. One way of interaction to your followers is by conducting the contests. This program shows the fun side of your brand which majorly attracts people. You can have the contests on the weekly basis. This practice can give you a large number of new followers. As it attracts people and make your brand or company impressive by the users. More visitors and more progression of the company. Boosting up the exposure also brings a lot of followers. It keeps your audience coming back to you. And focus on your giveaway contest that it should be something your audience would enjoy winning. Make the winning parcel excited to gather more followers. The use of hashtags on instagram posts make you visible on different peoples feed. Even the ones who have never heard about your company’s name can see the visuals and posts. This protocol makes you visible at a large scale and opens the doors for new connections to be made. It makes your content being exposed to variety of the audience. Also look for the check and balance to the hashtags used by your competitors. Look for the views and how they engage their audience. The live videos provide another outlet to connect more deeply to your followers. It is seen that people take more interest in the live videos other than those which are already recorded. By going live you face your followers directly. Try to host the question answer session to keep the visitors engaged. Ask them about the feedback and focus on clearing the confusions of the users. There feedback can give the fresh and new ideas about what to post next. It also helps you in adjusting the already existing program. Always be the one to break out the new trends on your live stories. Crowdfire gives you the list of people who have unfollowed you. And make you look for the new followers who would be interested. Social insight monitors all of your engagements, follower’s growth, interactions, and overall progress to Instagram marketing success. Snapwidget make your instagram feeds on your blog or website for visibility. Always look for the right time to post. The beautiful visuals posted at the right time boost engagement with your followers. You have to work on discovering the best at which your unique audience is most responsive and alert to your content. 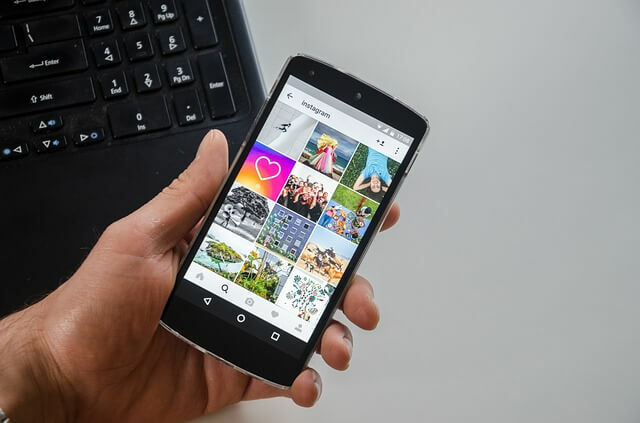 Instagram has its own tools which help you in featuring the analytical time to post for better engagement and provide an insight that when your followers would be more active. This practice would bring awareness to the people regarding your brand.